The Woodbridge Stonegate home tract is part of the Woodbridge Village community in the City of Irvine. Stonegate consists of 317 condominiums built by Bren Homes in mid 1980's. Stonegate townhoues are located north of the 405 Freeway and borders Jeffery Road, Alton Parkway and E Yale Loop. The townhouses offer five different floor plans featuring two and three bedrooms starting from 889 square feet to 1,411 square feet of living space. Current home prices in this home tract are listed below. 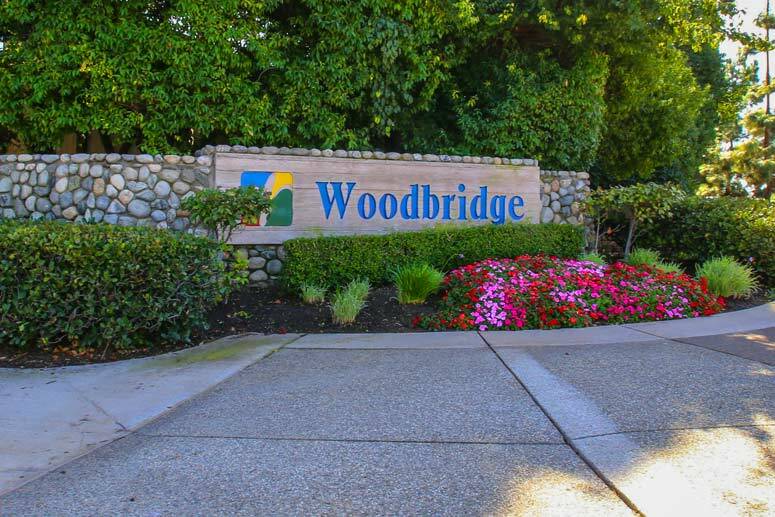 The Woodbridge Stongegate Community offers many amenities which include tennis courts, green parks, play grounds for kids, association pools and spas. Residences can enjoy the use of both north and south Lagoons and club houses. Stonegate condos subdivision offers the following floor plans. Plan A (Aubrun) features a two level, 2 bedrooms, 1 bath, 889 square feet of living space with a two car garage. Plan B (Beacon) features a one level , 2 bedrooms, 2 baths, 972 square feet of living space with a two car garage. Plan C (Clarion) features a two level, 2 bedrooms, 2.5 baths, 978 square feet of living space with a two car garage. Plan D (Devon) features 3 bedrooms, 2.5 baths, 1,142 square feet of living space with a two car garage. Plan E (Esher) features 3 bedrooms, 2.5 baths, 1,411 square feet of living space with a two car garage. The Woodbridge Village Master Association is managed by Woodbridge Village Master Association located on 31 Creek Road Irvine California. Their contact number is 949-786-1800. Homeowners association dues are approximately $215.00 per month. The Sub-Association is Woodbridge Stonegate and managed by Professional Community Management located at 23726 Birtcher Drive Lake Forest California 92614. They can be reached at 949-450-0202. Sub-association dues are approximately $82.00 per month. Children attend schools in the award wining Irvine Unified School District with Springbrook Elementary School, South Lake Middle School and Woodbridge High School located nearby.